This year's Workshop Contest is underway, and this time around we've got a doozy of an IP for the talented folks in the TF2 community to sink your teeth into: The dark knight himself. The caped crusader. America's favorite cave-dwelling orphan. 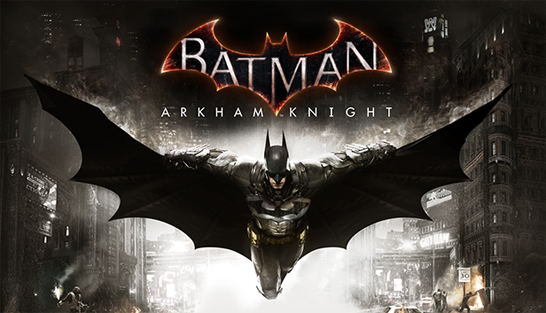 And, as of today on Steam, the star of the conclusion to Rocksteady's epic Arkham Knight trilogy. This is not a drill, you guys. This year we got Batman. Submit your Batman Arkham video game-themed item to the Team Fortress 2 Workshop. There's no limit on the number of entries you can submit. However, each submission is limited to a maximum of two contributors. Contest entries must be submitted through the Team Fortress Item Import Tool and tagged with "Batman". When the contest ends on November 16th, we'll select up to three winning entries, which will be given out to all people who purchased the game up to that point. And remember, normal Workshop terms apply, so outstanding entries may show up in the TF2 store later on. This contest runs through November 16th, and we'll announce the winners a few days after that. Whether you're an experienced Workshop contributor or a big Batman fan thinking about getting their feet wet for the first time, this is a great opportunity to try your luck. If you aren't interested in submitting content of your own, we're still counting on you to head over to the Workshop and vote on the entries that you want to see in the game. Good luck!